Vivekananda Kendra Kanyakumari Branch: Banpur organised Pariwar Sammelan on 2nd November 2014. Families from Banpur and Balugaon participated in the programme. The programme started with Bhajans,Vivekananda Kendra Kanyakumari Branch: Banpur organised Pariwar Sammelan on 2nd November 2014. Families from Banpur and Balugaon participated in the programme. The programme started with Bhajans, followed by Omkar Dhyana. Nagar Pramukh Shri. Satya Narayan Sadangi gave the key note address. He told the concept and necessity of such programmes. He also mentioned about the importance of preserving culture in the race becoming modern. 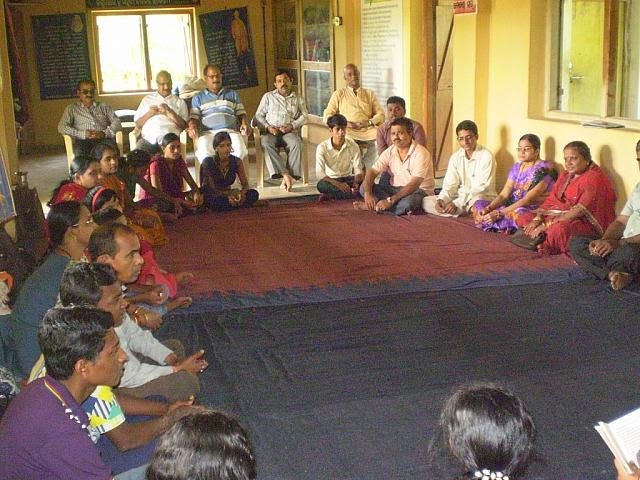 Games like family making, awareness games and 'Parasparaam Bhavayant:' were played. Shri. Rajendra Rath told about importance of Grihasthashrama. It was followed by discussion on "Pariwar - How to make them Ideal " . The concept of Amrut Pariwar was introduced . 44 family members and karyakartas were present on the occasion.